Liechtenstein is a civil law jurisdiction. The laws relating to dispute resolution are the Civil Procedure Act (ZPO), the Jurisdiction Act (JN) and the Enforcement Act (EO). Non-contentious proceedings are governed by the Non-Contentious Matters Act (AussStrG). The organisation of the ordinary courts is governed by the Court Organisation Act (GOG). the Princely Supreme Court (OGH) in the third instance. Apart from these three ordinary instances, there is the Constitutional Court (StGH) acting as an extraordinary court of appeal. While each of the 14 judges of the LG functions as single judge in civil law matters, the OG and the OGH are composed of several judges (collegial courts). The OG is divided into three chambers; the OGH consists of two chambers. The OG passes judgments in the composition of the president of a chamber, an associated judge and an appellate judge. The OGH adjudicates in the composition of the president of the chamber and four Supreme Court judges. There are a number of general principles that govern the relationship between the court and the parties and define their respective duties (eg, the principle of party disposition, the principle of party presentation, the principle of ex officio proceedings and the duty of instruction). Pursuant to the principle of party disposition, the parties are largely in control of the lawsuit. First of all, it is up to the parties to decide whether, when and to what extent civil proceedings shall be initiated. Accordingly, the parties have the power to determine the subject matter of the proceedings and the topic on which evidence is to be produced. The parties may also decide to end the proceedings at any point (eg, by withdrawal of the action or settlement of the case). Consequently, the judge is bound by the motions filed by the parties and cannot render a judgment that goes beyond the plaintiff’s claim. According to the principle of party presentation, it is up to the parties to prove their respective claims and defences. Therefore, the judge has no general duty to ascertain the facts ex officio. The judge must, however, ascertain the truth. To that end, provided that the corresponding facts have been alleged by a party, the judge may collect additional evidence that has not been requested by the parties. However, the taking of documents and the hearing of witnesses is not permitted if both parties object to taking such evidence. The principle of ex officio proceedings means that once civil proceedings have been initiated, the judge will undertake the necessary steps to move the case along (eg, service of the lawsuit and the claim documents on the defendant, setting the dates for the examination of witnesses, experts and generally the production of evidence, etc). The duty of instruction requires the judge to provide instruction if the pleadings of the parties are unclear, incomplete or lack precision, and not to surprise the parties with a decision that is based on a legal view that the court has not discussed with the parties before rendering the judgment (prohibition of surprise decisions). These principles apply to all contentious civil proceedings. However, the proceedings in non-contentious matters (eg, proceedings about parental custody and probate proceedings) are governed by slightly different principles. In those proceedings, the judge in general has a more active role, ie, more duties and more powers. Overall, in Liechtenstein civil proceedings, the judge has rather an inquisitorial role than a passive role. In Liechtenstein, juries are never involved in civil actions. Judges are selected by the Judges Selection Committee, which is presided over by the Prince of Liechtenstein, and candidates proposed by the committee have to be appointed by the Liechtenstein parliament. Generally, candidates must have passed the bar exam and meet further criteria. Liechtenstein law treats limitation periods as a substantive law issue. The general limitation period is 30 years after the emergence of a claim. However, for certain types of contractual claims the limitation period is five years (eg, claims for delivery of assets or performance of works or other services in a trade, commercial or other business, claims for rent, claims of employees for remuneration and reimbursement of expenses in connection with employment contracts) or less (eg, three years for the right to challenge a declaration of last will, to claim the legal share or its increase or to revoke a donation due to ingratitude of the donee). Claims for damages lapse within three years after the damaged party obtained knowledge of the damage, of the damaging party and of the causal connection. If such claims are related to a financial service business conducted by a financial intermediary, the absolute time limit is 10 years. In all other cases, the absolute statute of limitation is 30 years after the occurrence of the damaging event. If, however, the damage is caused by a criminal action subject to imprisonment of more than three years, the statute of limitation is always 30 years. The lapse of time is not to be considered ex officio without objection of the parties. Hence, it is generally possible for the parties to waive the statute of limitation defence or to agree to suspend such time limits. Pursuant to sections 227 to 231 ZPO, a party may apply for a conciliation attempt and the summons of the opponent for this purpose. However, this is entirely voluntary and only possible if the opponent resides in Liechtenstein. The non-appearance of the opponent has no consequences. Since 30 June 2015, it is no longer necessary to conduct compulsory conciliation proceedings before filing an action. Civil proceedings are initiated by filing a legal action or statement of claim with the LG. In the legal action, the plaintiff has to set out the facts on which he or she bases the claim and the evidence with which he or she intends to prove the asserted facts. If the court accepts that it has jurisdiction, it serves the legal action with the claim documents on the defendant and at the same time sets a date for the first hearing. If the defendant is not resident in Liechtenstein, service of the legal action and the claim documents is regularly effected via letters rogatory to the competent court where the defendant resides. The Liechtenstein courts have proven to be highly efficient and able to handle their caseload for decades. If, after receipt of the legal action, the court accepts that it has jurisdiction, it serves the legal action with the claim documents on the defendant and at the same time sets a date for the first hearing. At the first hearing, the defendant may invoke formal objections (such as the lack of jurisdiction, for example) and apply for the order of a security for costs, if the prerequisites are given. In cases where the claimant is ordered by the court to deposit a security for costs, the defendant is invited by the court to submit a reply to the statement of claim, if such a security for costs is deposited in time. Thereafter, depending on the complexity of the case, the court usually sets a hearing to decide on the evidence that will be taken. The matter is then heard in one or more oral hearings where the parties may plead their case, witnesses are examined, etc. Once the judge is satisfied and finds that the factual basis of the case is duly presented and the matter ready for taking a decision, he or she will close the hearing and then deliver the written judgment. As a general rule, further factual pleadings and new evidence may be put forward or offered by the parties to support their pleadings until the closure of the oral hearing. The duration of proceedings before the first instance obviously depends on the subject matter and complexity of the case at hand. If extensive evidence has to be taken, for example, by hearing a large number of witnesses or if the court needs to appoint an expert witness for special questions of fact or if a witness needs to be heard abroad via letters rogatory, the duration of the proceedings before the LG may take up to one year, and in complex cases even longer. As a general rule, a decision of the LG may be expected within one year. A final decision that may only be obtained from the OGH can take up to three years. If a matter is of great complexity and if decisions of the lower instances are lifted and the matter handed down to the lower instance for a new decision or if the StGH is involved, proceedings may also take considerably longer. The control of the proceedings and the timetable is exercised by the judge who opens, directs and closes the oral hearing (section 180 ZPO). The judge may order the parties to submit written pleadings and sets the dates for the examination of witnesses, experts and the production of evidence. During proceedings, the parties may request the production of documents that are in the possession of the opposing party or a third party. While third parties or authorities must produce relevant documents in their possession, unless they have a right to refuse to testify under Liechtenstein law, the parties themselves generally do not have an obligation to produce documents or any other evidence that might be adverse to their interests. There are, however, several exceptions to this rule. A party must not, for example, refuse to submit a document if it is obliged by law to release it or if the document was mutually produced. However, even in relation to documents the production of which has been ordered by the court, a party cannot be effectively forced to produce such documents. If a party refuses to present the documents, the court may only take this into consideration in the weighing of evidence. The procedural laws contain provisions allowing the lawyer to preserve secrecy. In particular, section 321(1) (4) ZPO provides that the lawyer is entitled to refuse to testify as a witness regarding information entrusted to him or her by his or her client. This privilege must not be circumvented by other means; for example, the examination of employees of the lawyer or an order to produce documents (article 15(2) of the Lawyers Act (RAG)). The legal privilege extends, in particular, to correspondence between the lawyer and his or her client, irrespective of where and in whose possession this correspondence covered by the professional secrecy protection is (article 15(3) RAG). In-house lawyers are not protected because they are not lawyers in the sense of the RAG. Lawyers who are admitted to a foreign bar may invoke professional secrecy obligations like Liechtenstein lawyers, and therefore the same level of legal privilege applies to such lawyers. Parties do not usually exchange written evidence from witnesses and experts prior to trial. As a general rule, there is no pretrial discovery in Liechtenstein. However, in specific and narrowly defined circumstances, the taking of evidence as a form of precautionary measure prior to trial is possible. Pursuant to the principle of immediacy and orality of proceedings, judges must obtain an immediate impression of the case. That means that only what has been brought forward in an oral hearing may form the basis of adjudication. Therefore, both witnesses and experts have to testify orally and will be questioned by the court. The parties have the right to ask for explanations or submit additional questions. If a witness cannot appear before a court in Liechtenstein, the court will either adjourn the hearing or, if it is unlikely that the witness will obey a summons, ask the competent court where the witness resides via letters rogatory to take the testimony. The same applies with regard to experts. Both prior to the opening of a lawsuit and during litigation, and even during the enforcement proceedings, interim injunctions may be issued (article 270 EO). They serve to secure the right of the party complainant if, in the absence of a protective injunction, there is the risk that a future enforcement will be prevented or made difficult; for instance, if a claim has to be enforced outside Liechtenstein. Interim injunctions may take the form of a protective order to secure money claims, or of an official order to secure other claims. The applicant must furnish prima facie evidence both of his or her claim and of the risk that may render future enforcements more difficult. Therefore, the only effect of the interim injunction is that it temporarily maintains the status quo (protective injunction). An interim injunction is normally issued ex parte within two to three days. It is up to the court to decide if the defendant shall be heard prior to the passing of the interim injunction. Under Liechtenstein law, it is not possible to obtain a free-standing injunction. The term ‘free-standing injunction’ refers to an injunction granted by a court pending the resolution of a dispute before a foreign court. This is because in all cases where an interim injunction is granted, the court will set a time limit for the claimant to file a statement of claim and commence ordinary civil proceedings. If that time limit is not adhered to, the injunction will be lifted (article 284 (4) EO). The court may order the provision of a security if, for example, it does not consider the prima facie evidence for the alleged claim to be sufficient (article 283 EO). According to article 287 EO, the applicant has to reimburse any pecuniary loss suffered by the defendant if, for example, the applicant loses the main proceedings. Search orders are available only in the context of criminal proceedings. Punitive damages are not available in Liechtenstein. However, if a money judgment is final and binding and the judgment debtor does not comply with his or her payment obligation within the performance period, the judgment creditor is entitled to claim legal interest in the amount of 5 per cent per year in addition to the amount due under the judgment. The EO provides for enforcement measures in all kinds of assets of the obligor in the case of money judgments. In particular, it is possible to enforce money judgments in immovable property (by asking for a forced administration of the property, for a forced creation of a lien or for a foreclosure), in movable assets, in claims and other property rights of the obligor. If a final and enforceable court decision rules for an obligation of a party for a personal act or omission for the benefit of another party, such order may be enforced by the entitled party in enforcement proceedings. If the act ordered by the court demands for personal action of the obligor that cannot be taken by a third person, the court may enforce the title by threat of penalty payments or imprisonment of up to six months. If the act can also be performed by a third party, it will be taken by such third party at the costs of the obligor. As a rule, court hearings in civil cases are open to the public. However, in specific cases, where the public interest or the protected interests of a person are directly affected, the public may be excluded. Written submissions in civil proceedings are not made available to the public. Therefore, non-parties are not granted access to the court file, unless the parties of the lawsuit agree to grant information to the third party or such third party can prove some legal interest (for example, if the information is required for a lawsuit) and is granted access through a court decision. Important judgments are available online for everyone in anonymised form at www.gerichtsentscheidungen.li. As a rule, the losing party must reimburse the costs of the successful party according to the Lawyers’ Tariffs Law (RATG) and pay the court’s fees. In this respect, little discretion is given to the court. If a plaintiff is only partially successful, then the court adjudicates the costs of the proceedings in proportion to the success. There are, however, several exceptions and special rules. The RATG defines the costs of lawyers in accordance with the value in dispute and not depending on hourly rates. Court fees are determined according to the Court Fees Act (GGG). On 1 January 2018, a new GGG entered into force. The new GGG provides for flat-rate fees depending on the value in dispute. This means that irrespective of the amount and the duration of the hearings in the specific case, the court fees are the same. The person who files the brief that commences the proceedings has to pay the court fees within four weeks after filing the brief. If the court fees are not paid within this time limit, the court will deem the brief to be withdrawn. In the event that the party who paid the court’s fees wins the case, the opponent will have to reimburse the court’s fees. As a rule, persons who have no residence in Liechtenstein or lose such during the legal proceedings and are plaintiffs or appellants in a Liechtenstein court are, upon request of the opponent, obliged to furnish the defendant or respondent with a security for the costs of the proceedings. Likewise, legal entities that do not have sufficient domestic property on which execution can be levied may also be required to furnish a security for the costs of the proceedings. However, natural persons who are not able to bear the costs of litigation without detriment to the necessary maintenance may apply for legal aid in civil matters with the LG. Likewise, legal persons may apply for legal aid if the means necessary to cover the costs of litigation cannot be borne by the legal person or his or her beneficial owners. Furthermore, legal persons will only be granted legal aid if public interest requires that the rights of the legal person are exercised. Legal aid is granted only if the litigation is not considered vexatious or futile (section 63 ZPO). If legal aid is granted, the party may be relieved from the payment of court fees and from the provision of a security for costs (section 64 ZPO). A lawyer to represent the party in the proceedings will be appointed only in cases of a difficult factual or legal situation. As regards the relationship between lawyers and their clients, the RAG provides that neither quota litis agreements nor the assignment or pledging of the disputed claim or object are permitted. Therefore, ‘no win, no fee’ agreements or other types of contingency fees are generally not permissible under Liechtenstein law. However, it is possible to agree, in addition to the basic fee, on an appropriate additional fee which shall depend on the success of the lawyer’s efforts. The preconditions and the exact amount of such additional fee must be precisely defined in advance. There are no rules in Liechtenstein regarding litigation funding by disinterested third parties. Apart from the above, it is up to the litigating parties how they fund their litigation. Therefore, it is generally possible that parties bring proceedings using third-party funding in order to reduce their risks. Such third parties may take a share of any proceeds of the claim. A party to litigation may also share its risk with a third party (eg, by selling some proportion of any recovery to investors in return for a fixed up-front payment, or by paying a fixed sum to offset a proportion of any liability). Litigation funding usually occurs in large arbitration and litigation disputes or when a number of people suffer losses with a common cause (so that in aggregate, losses are significant). There are a number of insurance companies that offer legal protection insurance. Depending on the policy chosen, the relevant branches of law and the amount in dispute, it is possible to obtain full insurance coverage of legal and financial risks arising from a legal dispute. However, it should be noted that insurance policies generally contain cover restrictions (eg, the insured sum is normally capped per legal case) that might be applicable in the individual case. Generally, class actions are unknown to Liechtenstein procedural laws. However, section 11 et seq ZPO contain provisions regarding the joinder of parties (either as joined plaintiffs or joined defendants). Pursuant to these provisions, several persons may act as joint claimants or joint defendants if their rights are based on the same legal and factual grounds or if they assert similar claims that are based on similar legal and factual grounds and which are all matters within the competence of Liechtenstein courts. Furthermore, the Liechtenstein Consumer Protection Act (KSchG) enables certain consumer protection organisations to claim on behalf of several individuals; for example, against the terms and conditions of businesses that are disadvantageous to consumers (article 41 et seq KSchG). However, these are not class actions in the strict sense. Each decision passed by the LG may be appealed to the OG within either 14 days, if an order is concerned, or within four weeks, if a judgment is concerned. In appellate proceedings, the OG, after having conducted an oral hearing on the appeal, gives its decision either by confirming the judgment of the LG or by setting it aside and referring the matter back to the LG, or by itself amending the contents of the judgment. As a general rule, to specify the grounds for avoidance, new facts and evidence may be submitted as long as the claim remains identical (novation is not prohibited before the second instance court). Moreover, the parties may also contest procedural errors or the LG’s factual and legal findings. Most orders by the LG, such as the order to lodge a security deposit for costs and fees or the refusal to accept jurisdiction, may be appealed to the OG within two weeks. Decisions by the OG may be appealed to the OGH as follows: an order overturning the decision of the LG may be appealed to the OGH within 14 days. Where an order of the OG confirms an order of the LG, no further appeal to the OGH is possible. Judgments of the OG may, apart from one exception that applies to small claims proceedings (values in dispute up to 1,000 Swiss francs; section 471 ZPO) where the judgment of the OG is final, in any event, be appealed to the OGH within four weeks. The OGH conducts a non-public hearing and is solely concerned with legal errors; fact-finding by the lower level courts can, therefore, no longer be contested (novation is prohibited). Accordingly, the parties may raise points of law only on material or procedural issues, and new evidence or pleadings are not allowed. Besides the three instances mentioned above, there is the StGH acting as an extraordinary court of appeal. A party may have recourse to the StGH against final decisions that ultimately determine a matter (ie, which are, for example, not merely referring a matter back to the lower instance) for alleged violations of constitutional rights or rights granted by international conventions such as the European Convention on Human Rights within four weeks. The StGH can only quash the challenged order or judgment; it cannot pass a new decision on the merits. The ordinary courts are, however, bound to the legal considerations of the StGH and have to revise the quashed decision accordingly. An appeal against a judgment to the OG or to the OGH has suspensive effect, which means that the appealed decision has no res judicata effect and cannot be enforced (section 436 ZPO). In contrast, an appeal against a court order does not, in principle, have suspensive effect (section 492(1) ZPO). Upon application of the appealing party, the court may, however, grant suspensive effect to the appeal (section 492(2) ZPO). An appeal to the StGH does not have the effect of staying the judgment, unless such stay is - upon application of the appealing party - specifically granted by the StGH acting through its president. The levying of execution or the performance of individual acts of execution on the basis of a foreign judgment (or other foreign enforceable instruments) is possible in Liechtenstein according to article 52 et seq EO only if this is provided for in treaties or if reciprocity is guaranteed to the government by treaties or government policy statements. There have not been any such statements guaranteeing reciprocity so far. in the case of a default judgment, the writ of summons, by which proceedings are instituted, must have been served on the party in default personally or on a proper representative. Moreover, Liechtenstein has ratified the Convention of 15 April 1958 concerning the Recognition and Enforcement of Decisions Relating to Maintenance Obligations Towards Children, and the European Convention on Recognition and Enforcement of Decisions concerning Custody of Children and on Restoration of Custody of Children. Furthermore, Liechtenstein ratified the New York Convention on the Recognition and Enforcement of Foreign Arbitral Awards of 1958 on 5 October 2011. Liechtenstein has not signed or become a party to any other multilateral treaty or instrument. In particular, it is not a party to the Lugano Convention on Jurisdiction and the Enforcement of Judgments in Civil and Commercial Matters of 1988/2007 or the Council Regulation (EC) No. 44/2001 of 2000 on Jurisdiction and the Recognition and Enforcement of Judgments in Civil and Commercial Matters (Brussels I Regulation). It follows from the above that, in general, foreign judgments cannot be enforced in Liechtenstein. Consequently, a judgment creditor must obtain a Liechtenstein-enforceable instrument against the judgment debtor before he can successfully levy execution in Liechtenstein. A foreign judgment is sufficient to be granted what is called Rechtsöffnung; in other words, simplified proceedings to obtain a Liechtenstein-enforceable instrument. On the account of the Rechtsöffnung, the creditor who has obtained a default summons or other decision within summary proceedings may have the debtor’s opposition or legal proposal annulled by the court, if the claim he or she has put forward is based on a Liechtenstein or foreign public instrument. The respondent in such proceedings can avoid an enforceable instrument only by bringing an action for denial. Once an action for denial has been brought, the merits of the case are decided upon in contentious proceedings before a court of law. In practice, this means that if the opponent does not want a foreign judgment to be validated by Rechtsöffnung, the whole case has to be re-tried on the merits before the Liechtenstein courts. The provisions of section 17 et seq JN provide assistance to foreign courts. Pursuant to section 27 JN, the LG has to grant legal assistance unless the requested act does not fall within the competence of the LG, if an act is requested that is prohibited by Liechtenstein law or if reciprocity is not given. Where the LG doubts the existence of reciprocity, it has to obtain a binding declaration from the OG in this respect. The most common cases of legal assistance for a foreign court in civil proceedings is the service of documents and the examination of witnesses. The court has to provide legal assistance in accordance with the Liechtenstein procedural laws pursuant to section 28(1) JN. the appointment of extraordinary auditors. Excepted from arbitration are matters falling within the public supervision of foundations and generally proceedings that are initiated ex officio or by a public authority (ie, the LG, the Foundation Supervision Authority STIFA or the Attorney General) based on mandatory law. In general, all claims arising from rights involving an economic interest that are usually decided by domestic courts are arbitrable. All other claims are arbitrable if the parties are capable of reaching a settlement on the subject matter of the dispute. The arbitration agreement needs to be in writing and must be contained either in a written document signed by both parties or in letters, telefaxes and emails or other means of transmitting messages between the parties, which provide a record of the agreement. The reference in a contract complying with these formal requirements to a document containing an arbitration agreement (eg, in general terms and conditions) constitutes an arbitration agreement, provided that the reference is such as to make that arbitration agreement part of the contract. Unless otherwise provided in the arbitration agreement, the number of arbitrators shall be three (section 603 (2) ZPO). Each party shall appoint one arbitrator. The two arbitrators so appointed shall appoint a third arbitrator, acting as chairman of the arbitral tribunal. If a party fails to appoint an arbitrator within four weeks of receipt of a written request to do so from the other party or if the parties do not receive notification by the arbitrators regarding the arbitrator to be appointed by them within four weeks of their appointment, the arbitrator shall, upon request by either party, be appointed by the court. The appointment of an arbitrator can be challenged only if circumstances exist that give rise to justifiable doubts as to his or her impartiality or independence, or if he or she does not possess the qualifications agreed upon by the parties (section 605 (2) ZPO). With the exception that full-time judges of the Liechtenstein courts may not become arbitrators during their tenure of office, the parties may freely determine the composition of the arbitral tribunal and the appointment of its members. This means that the parties are free to agree on the number of arbitrators and to define the procedure for appointing the arbitrators. If the parties have, however, agreed on an even number of arbitrators, then these have to appoint a further person as chairman. A person being approached in connection with a possible appointment as arbitrator must disclose any circumstances that may likely give rise to doubts as to his or her impartiality or independence, or are in conflict with the agreement of the parties. After being appointed and throughout the arbitral proceedings, an arbitrator has to disclose any such circumstances to the parties without delay, unless they have already been informed of them and consented to the continuation of his or her mandate as arbitrator. 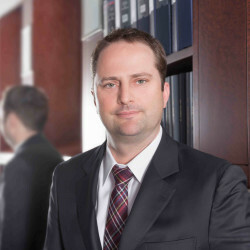 When choosing an arbitrator, parties should select a candidate with the requisite legal and professional expertise that mirrors the nature of the specific dispute who shall also have sufficient management skills to deal with people and handle the process. In Liechtenstein practice, there is a tendency to choose lawyers as arbitrators. A formal legal education is, however, not required in order to be eligible as arbitrator. A large number of Liechtenstein lawyers are members of the Liechtenstein Arbitration Association (www.lis.li), which provides a large pool of candidates who are able to meet the needs of complex arbitration. The arbitral tribunal adjudicates the dispute pursuant to the statutory provisions or rules of law as agreed upon by the parties. Unless the parties have expressly agreed otherwise, any agreement as to the law or the legal system of a given state shall be construed as directly referring to the substantive law of that state and not to its conflict of laws rules. In the absence of a choice of law, the arbitral tribunal will apply the statutory provisions or rules of law it considers appropriate; that is, the provisions that have the closest connection to the dispute. Subject to the mandatory provisions of section 611 et seq ZPO, the parties are free to agree on the rules of procedure. Section 611 para 2, which provides that the parties are to be treated fairly and that each party shall be granted the right to be heard, is mandatory, for example. The parties may also refer to other rules of procedure. Failing such agreement, the arbitral tribunal, subject to the provisions of the applicable law, must conduct the arbitration in such manner as it considers appropriate. files a request for interim measures. These powers of the court can not be overridden by agreement. If a court is approached with an action that is subject to an arbitration agreement, it must reject such claim, provided the defendant does not submit a pleading in the matter or does not orally plead before the court without making a notification of objection in this respect. However, this does not apply if the court establishes that the arbitration agreement does not exist or is incapable of being performed. In this case, the court may continue its proceedings. Nevertheless, even while such proceedings are pending, arbitral proceedings may be commenced or continued and an award rendered. As a rule, during arbitral proceedings no further action may be brought before a court or an arbitral tribunal concerning the asserted claim. Any action filed on the grounds of the same claim must be rejected. This, however, does not apply if an objection to jurisdiction of the arbitral tribunal was raised with the arbitral tribunal, at the latest when entering into argument on the substance of the dispute, and a decision of the arbitral tribunal thereon cannot be obtained within a reasonable period of time. If the parties have not agreed otherwise, the arbitral tribunal may, upon request of a party and after hearing the other party, order any interim or protective measures it deems necessary in respect of the subject matter in dispute, if it considers the enforcement of the claim were otherwise frustrated or significantly impeded, or there was a risk of irreparable harm. Before imposing such measure, the arbitral tribunal may request any party to provide appropriate security in connection with such measure. It is important to note that an interim relief granted by arbitrators can only be enforced by the LG. Once the arbitral tribunal is satisfied and finds that the factual basis of the case is duly presented and the matter ready for taking a decision, it will close the proceedings and render the arbitral award. The award has to be made in writing and must be signed by the arbitrator or arbitrators. Unless otherwise agreed by the parties, in arbitral proceedings with more than one arbitrator, the signatures of the majority of all members of the arbitral tribunal suffice, provided that the reason for any omitted signature is stated on the arbitral award. If the parties have not agreed otherwise, the award needs to give the reasons that form the basis of the decision. Furthermore, the award must state the date on which it was rendered and the seat of the arbitral tribunal as determined in section 612 (1) ZPO. A signed copy of the award needs to be served to each party. The award and the documentation on its service are joint documents of the parties and the arbitrators. The arbitral tribunal has to discuss possible safekeeping of the award and the documentation of its service with the parties. Upon request of a party, the chairman (or, in case of his or her inability, another arbitrator) is obliged to confirm the res judicata effect and the enforceability of the award. An appeal to a court against an arbitral award (including arbitral awards by which the arbitral tribunal has ruled on its own jurisdiction) may only be made in the form of an action for setting aside pursuant to section 628 ZPO. Such action has to be brought to the OG within four weeks. The time period begins on the day on which the claimant receives the award. For actions for setting aside arbitral awards, the OG has jurisdiction as first and last instance, notwithstanding, the possibility of an extraordinary appeal to the StGH for alleged violation of constitutional rights. the arbitral award conflicts with the fundamental values of the Liechtenstein legal system (ordre public). Since Liechtenstein adopted the New York Convention on the Recognition and Enforcement of Foreign Arbitral Awards of 1958 (New York Convention), arbitral awards that have been obtained before arbitration panels and in proceedings in accordance with the New York Convention constitute executory titles and can be enforced in Liechtenstein without re-examination of the merits of the case. Where the arbitral proceedings are terminated, the arbitral tribunal decides upon the obligation to reimburse the costs of the proceedings, unless the parties have agreed otherwise. In exercise of its discretion, the arbitral tribunal takes into consideration the circumstances of the case, in particular the outcome of the proceedings. The obligation to reimburse may include any and all reasonable costs for bringing the action or defence. If the parties agree on the termination of the proceedings and communicate this to the arbitral tribunal, a decision on costs is made only where a party applies for such a decision together with the notification of the agreement to terminate the proceedings. Together with the decision upon the liability to pay the costs of the proceedings, the arbitral tribunal, as far as this is possible and provided that the costs are not set off against each other, determines the amount of costs to be reimbursed. The most important alternative dispute resolution paths are arbitration (governed by the ZPO) and mediation proceedings (governed by the Law regarding Mediation in Civil Law Matters (ZMG)). However, while arbitration is seen as the main alternative dispute resolution mechanism to ordinary state court litigation, mediation proceedings have less practical importance. Another form of alternative dispute resolution available in Liechtenstein are proceedings before the Conciliation Board with one mediator. It has been created to deal with conflicts between clients and various financial service providers such as asset management companies, banks, professional trustees and others. The Conciliation Board is regulated in the Ordinance regarding the extrajudicial Conciliation Board in the Financial Services Sector (FSV). In practice, such conciliation proceedings do not play an important role. Participation in ADR before or during proceedings is voluntary. Hence, neither court nor tribunal can compel the parties to participate in an ADR process (except in disputes about parental custody) . strengthening the powers of the judge to guide the proceedings. It is planned that the Liechtenstein parliament will discuss the draft of the revised ZPO for the first time in the May 2018 session. The second reform concerns the EO. This reform has two main aims: first, the bailiff (in contrast to the judge) shall receive more competencies. Bailiffs shall be able to act on their own without the involvement of the judge in more circumstances. Second, the principle that the bailiff or court in its own motion expedites enforcement proceedings shall be strengthened, relieving the entitled party of the need to file further motions. In its decision of 2 December 2016, 9 CG.2016.2, the OGH decided that whenever a party already realises in the first instance that a certain piece of evidence can be of importance, it has to offer this evidence in the first instance, unless certain reasons speak against it. If, in such circumstances, an offer of proof is omitted in the first instance and then presented in the appeal, it must be assumed that the party already knew in the first instance that this evidence would be essential, but considered raising it in the appeal only if the outcome was negative, and thus, as a consequence, also considered a delay of the proceedings. In such circumstances, the OG may declare new facts and evidence inadmissible in the appeal proceedings, despite the general permission of novation. By decision of 3 November 2017, 3 CG.2016.264, the OGH decided that the parties are only allowed to present new facts and new evidence in the appeal proceedings with respect to those legal grounds and objections that they have already asserted in the proceedings at first instance. In its decision of 6 October 2017, 6 CG.2016.390, the OGH decided that a pending request for legal aid of the claimant does not preclude a default judgment. By decision of 7 September 2017, 08 EX.2016.839, the OGH decided that within the scope of the Arbitration Convention, foreign arbitration awards can be enforced directly without applying first for a declaration of enforceability. 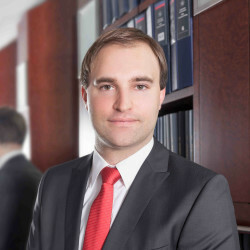 Because of the liberal legislation relating to companies, foundations and trusts, cases involving foundations and trusts play an important role in general, as do commercial and company law cases in Liechtenstein. The new and attractive arbitration law in combination with the New York Convention on the Recognition and Enforcement of Arbitral Awards makes Liechtenstein an attractive place for arbitration. Marxer & Partner Attorneys-at-Law was founded in 1925 and is the oldest and largest law firm in the Principality of Liechtenstein. The law firm offers comprehensive legal counselling and services to internationally operating enterprises and private individuals, both in all fields of private law and public law including tax law and criminal law.